Good Agricultural Practices (GAP), economically, socially, and environmentally responsible methods and technologies for the raising and marketing of agricultural and horticultural products. Good agriculture practices aim to deliver to the consumer healthy and safe high-quality food and nonfood products in manner that permits sustainable yields and ensures the livelihoods of producers and processors while protecting or enhancing the environment. 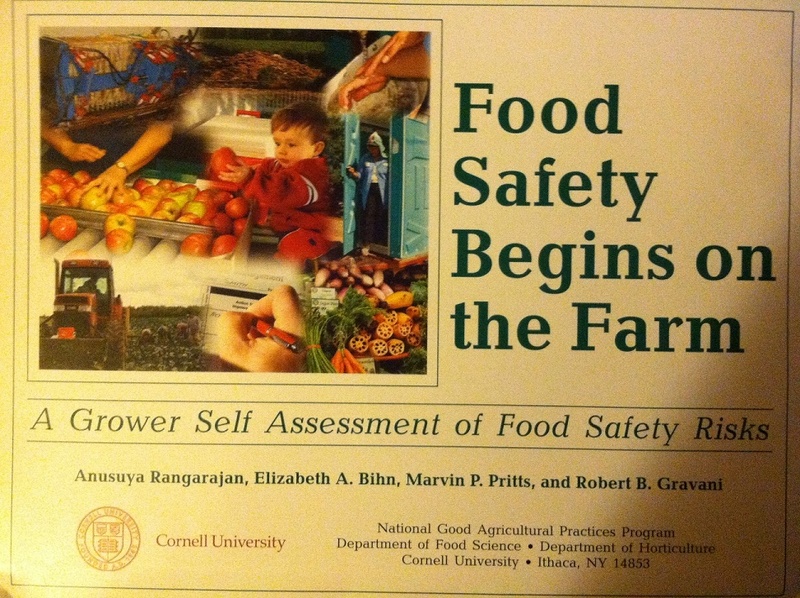 Guidelines for good practices can cover all aspects of farm production—whether in the field, in a greenhouse, or in a barn—including crop and seed choice, watering and fertilization, pest and disease control, disposing of manure, harvesting, and handling after harvest, in food processing, and in a retail setting. 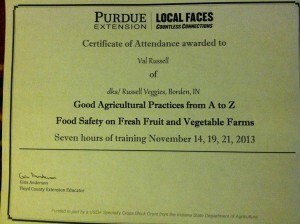 During the month of November 2013, I completed a seven hour training class at Purdue Extension. This was very informative training that I have been wanting to complete. GAP is not a requirement for a farm of our size, but was every insightful and will eventually be required for all size farms (2020). As a result of this training we should be free to provide fresh fruits and vegetables to local restaurants and stores as well as the farmer’s market without interference from local health officials. We look forward to helping supply fresh produce to anyone who request our goods.